We Play – Cotton Bud Painting. I’m putting my money where my mouth is today… or my blog where my mouth is, so to speak. For the past two Teach and Learn Carnivals I’ve blogged on about art and how important it is for little kids…. and today we actually did some! Nothing flash. Just a big sheet of paper, some diluted water colours in an ice block tray and some cotton buds. Just me and the Small Boy and a little bit of cotton bud painting. This post is part of childhood101’s We Play series – head on over and check out all the other great play ideas! 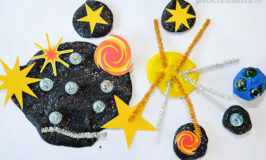 I think I have some cotton buds stashed in with my scrapbooking stuff somewhere, so we might give this a try tomorrow. 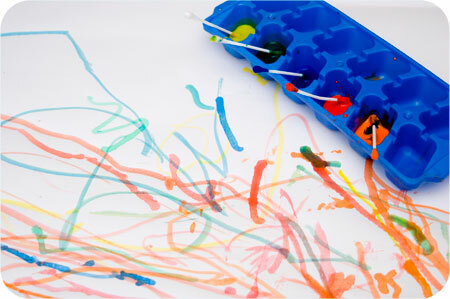 Or maybe we could get around to giving our Jackson Pollock style toothbrush painting a go … finally! Looks like I need to get some better water colours though, those paints have come up very nice! This is my favourite way of painting (and my eldest son loves it too). I just love the look and it feels great, like writing with a really nice pen. Kieran just painted with Q-tips (what we call them in the States) and watercolors for the first time the other day at an art fair. I never even thought of doing it at home! A lovely no fuss art idea. I’m so borrowing this for school holidays. Especially as our paintbrushes have all disappeared to be used as garden decorations. Great Idea….We will be trying this soon! We are painting this week too, with black pen and water colors. Water colors are my favorite! Fabulous idea!! Must try this – relatively easy to contain mess too! Great idea…I actually never used cotton buds before great idea! Oh, Mrs Pickle, you are a mama after my own heart! 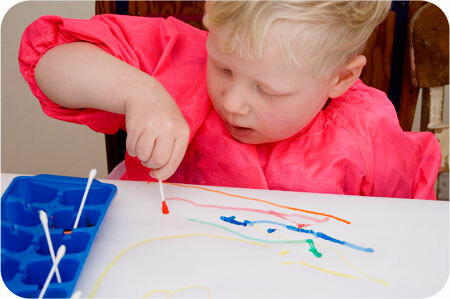 We love painting with cotton buds too! 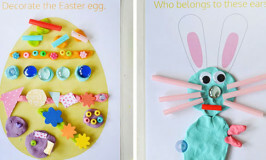 Home » We Play – Cotton Bud Painting.